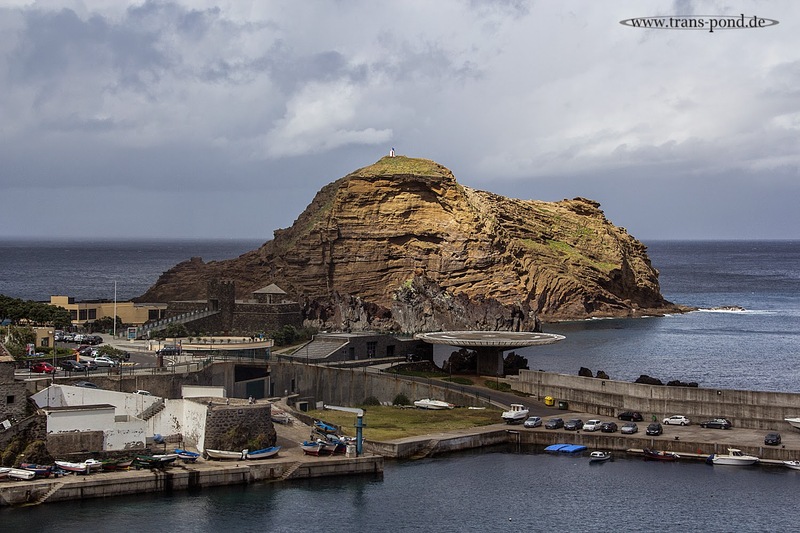 Porto Moniz, south coast of Madeira. The sun was falling on the large rock in the harbour area really nicely. Do you spot the helicopter landing platform? It looks like a piece from a Lego set, doesn't it?